Vacuum your blinds first to remove the dust on the surface and remove your blinds from the roller and lay them flat in the clean area. Gently brush away any loose dirt, dead bugs, etc. using the brush attachment on the vacuum. Next, fill the half of the sink of luke warm water. Add some color safe bleach to the water and mix. Soak the blinds in the sink for 1 to 2 hours, if the blinds are too long, you can fold it so that they will fit or soak thoroughly in the sink or basin. After that, gently wipe the blinds back and forth with a soft cloth or sponge. This will remove the remaining dirt or stains. If you notice that the blinds are not clean enough, empty your sink and refill it with more warm water and detergent, then soak the blinds for a few more hours. Afterwards, remove the sudsy water from the sink, fill with clean water and gently rinse the blinds. Repeat it until no more soap is present. Lay the blinds over a drying rack or outside in a cloth line until the blinds is completely dried. Carefully attach the blinds back to the mechanism of the roller and hang them back, over your window. Photo above are installation from one of our clients at Merville, Parañaque City, Philippines. She opted for R6022 beige color of custom-made roller blinds. 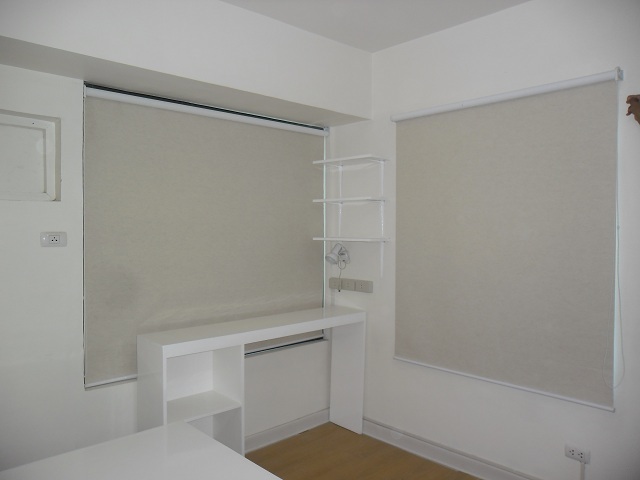 It takes 4-5 working days of fabrication for your preferred roller blinds and if you are within Metro Manila and purchase a minimum of 5 thousands, we offer FREE delivery and installation. For more inquiries, visit DS Windows & Walls at 4th level Waltermart Center, Makati City, 3rd level Robinsons Metro East, Pasig City and 2nd level Pacific Mall, Lucena City. 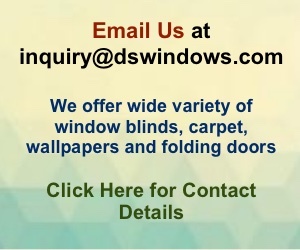 Call us at (02) 403 3262 / (02) 893 1373 / 0916 311 3909 or email us at inquiry@dswindows.com.